Advanced Design System (ADS) is an electronic design automation software system produced by Agilent EEsof EDA, a unit of Agilent Technologies. It provides an integrated design environment to designers of RF electronic products such as mobile phones, pagers, wireless networks, satellite communications, radar systems, and high-speed data links. Agilent ADS supports every step of the design process—schematic capture, layout, frequency-domain and time-domain circuit simulation, and electromagnetic field simulation—allowing the engineer to fully characterize and optimize an RF design without changing tools. Agilent EEsof has donated copies of the ADS software to the electrical engineering departments at many universities, and a large percentage of new graduates are experienced in its use. As a result, the system has found wide acceptance in industry. The infrastructure of the centre includes Pentium machines, Microcontroller Modular Evaluation Systems, Microcontroller Development Systems, Emulators, Assemblers and Cross compilers for various microcontroller families (ARM, ATMEL, Microchip, Cypress, ST Microelectronics, etc.) DSP processors, logic analyser and other bench equipments. Further the centre also signed an "Academic Agreement" with Cypress Semiconductor on 8th February 2011 to setup a PSoC Lab. The centre gratefully acknowledges Cypress Semiconductor for donating several kits on PSoC 1, PSoC 3 and PSoC5 Architectures. Electrical machines lab is one of the oldest lab established in the Institute. 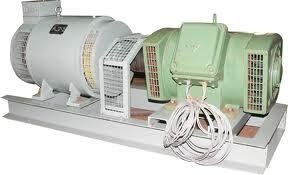 The machine lab has DC machines, AC machines and special type of machines. This lab is used by undergraduate students in their regular lab work. All available machines are having a set up bench with latest supporting measuring equipment. Lab also supports students in their different type of project work and various experiments based on machines are performed in Electrical machines course. Power Electronics (PE) is a branch of engineering which requires the knowledge of Analog/Digital Electronics and Control Systems domain. Nowadays, PE is employed in applications ranging from few Watts residential to several Megawatts industrial systems and processes. PE is the integral part of modern technology. Application of semiconductor switching devices such as Diode, BJT, SCR, MOSFET, IGBT, GTO etc. to convert and control the amplitude and direction of power flow to met the load requirements is the main objective of this course/laboratory. Practical design issues are also covered in laboratory experiments. After successful completion of this laboratory, students will be able to design, simulate, develop and analyze the performance of various power electronic converters including AC/AC Converters, AC/DC Converters, DC/DC Converters & DC/AC Converters. Wireless Sensor Network (WSN) refers to a group of nodes (with some sensors on-board) connected through a wireless link and thus forming a cluster/ network to perform specific task(s) like asset management, smart lighting, remote control, etc. ZigBee PRO is the latest version of ZigBee protocol which is based on IEEE 802.15.4 standard. This WSN platform from Jennic enables users to create ZigBee/ IEEE 802.15.4 based WSN applications. The nodes in this kit have sensors for temperature, humidity and ambient light on-board. The wireless networks formed operate in the 2.4 GHz unlicensed ISM band and support a data-rate of 250KBps. Application development is done in C/C++ on Eclipse IDE with ZigBee PRO libraries provided by Jennic. The work is carried out in this lab is mainly in the domain of developing applications for energy management. TelosB is an IEEE 802.15.4 based WSN platform. These devices have USB programming capability, an IEEE 802.15.4 radio with integrated antenna, a low-power MCU with extended memory (of 1 MB) for data logging. They run TinyOS on them and have the capability of integrating more sensors for custom applications. The WiEye sensor has a long-range PIR sensor which can detect human presence up to 20-30 feet distance. This sensor board also has visual light and acoustic sensors enabling improved detection. These sensors can be used for surveillance and security applications. These kits have an 8051 microcontroller interfaced to an RFID/ GSM modem. They also have some other peripherals like RTC, stepper motor controller, etc. all integrated on a single board making it suitable for small scale embedded applications for control and communication. Analog and Digital Electronics laboratory is well equipped with state of art equipments and software tools used in signal processing, signal conditioning, signal or data analysis and signal manipulation circuits. This lab runs throughout the year providing experimental facility to nearly 500 students and caters the need of two compulsory disciplinary courses viz., Analog Electronics and Digital Electronics. The lab is extensively used by students of Electrical & Electronics Engineering, Electronics & Instrumentation and Computer Science departments for their course requirements and project work. The basic experiments are categorized in two distinct domains i.e., Analog and Digital. 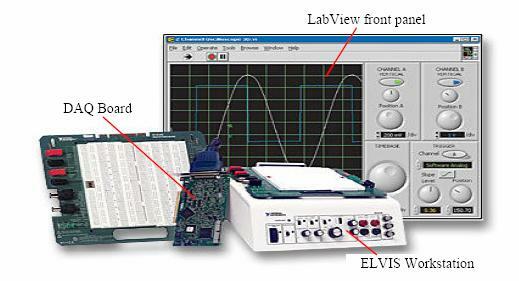 Analog: In this category various electronic techniques and building blocks used in analog signal processing using discrete and integrated electronic circuits are designed and analyzed. Basic and high input resistance transistor amplifier design, Linear and non- linear applications of OPAMP, Instrumentation and Programmable amplifier design and characterization, Active filter and Precision circuits, Timer and PLL based circuits, Signal generation circuits and voltage regulator ICs are used in some of the experiments being carried out in the analog electronics lab. Texas Instrument Kits and other related analog circuits are used by the students for design, testing and development project allotted in assignments and project type course works. 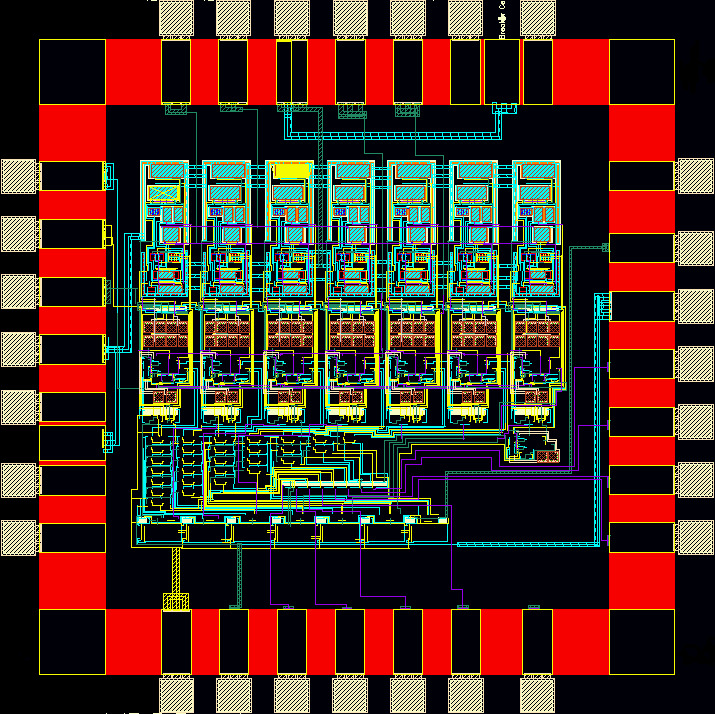 Digital: In this category various electronic techniques and building blocks used in digital signal processing using discrete and integrated electronic circuits are designed and analyzed. Experiments performed by the students in this lab include logic behaviour of various IC logic gates, propagation delay of gate, binary counter, multiplexers and de-multiplexers, combinational circuit design using decoders, BCD to seven segment decoder and display, parallel adder and substractor, BCD adder, flip flops, shift registers, design of serial adder, understanding of random access memory. Digital circuits are used by the students for design, testing and development project allotted in assignments and project type course works. OptSim is an advanced optical communication system simulation package designed for professional engineering and cutting-edge study of WDM, DWDM, TDM, CATV, optical LAN, parallel optical bus, and other emerging optical systems in telecom, datacom, and other applications. OptiSystem is a comprehensive software design suite that enables users to plan, test, and simulate optical links in the transmission layer of modern optical networks. Optical Transmitter (LED & LASER diode) / Receiver. OptoSci ED-WAVE Prism Coupling Unit, ULTRAlign™ Precision Fiber Alignment Stage, a Standa honeycomb table and a DYMAX UV Curing Unit. NI PXI8176: High-performance PXI/Compact PCI-compatible system controller. SCXI-1520: 8-channel universal bridge input module for Wheatstone bridge-based measurements. SCXI-1180: feed through panel to extend the I/O signals of the plug-in DAQ board to the front of the SCXI chassis. SCXI-1125: an eight-channel isolated analog input conditioning module with programmable gain and filter settings on each channel. Each channel has 12 programmable gain settings from 1 to 2000 and two programmable filter settings of either 4 Hz or 10 kHz. An onboard EEPROM for nonvolatile storage of software correction constants for both gain and offset. Programmable Logic Controller (Allen Bradley) Micrologix 1500 LRP Series B.
Micrologix 1000 Analog with I/O Devices. DC Input Module (13 Inputs). AC DC Output Modules (13 outputs). RS Logix 500 English Software for PLC Programming and Ladder simulation. RS-VIEW32 HMI (Human Machine Interface) Software. Programmable data - acquisition module for temperature. Thermo - Anemometer (for the measurement of wind speed and relative humidity).